Museum of Broken Relationships is a museum dedicated to unsuccessful love relationships. It contains personal items left by former lovers, accompanied by brief descriptions. 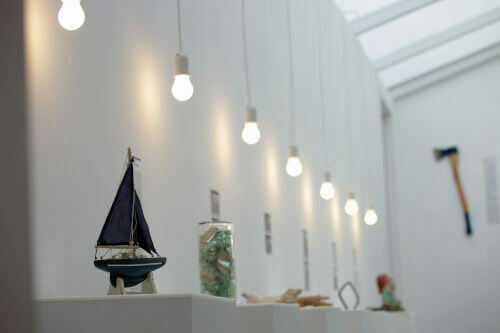 The Museum of Broken Relationships originated from a traveling exhibition with the concept of broken relationships and their ruins, and after a while settled on a permanent location in Zagreb on May 21, 2011. Unlike destructive self-help instructions on how to recover from unfulfilled love, the Museum gives everyone an opportunity to overcome emotional breakdown in a creative way – by donating to Museums’ collection. The European Museum Forum has awarded the Museum with the prestigious Kenneth Hudson Prize at the Bremerhaven ceremony as the most innovative museum in Europe. Every day from 9:00 a.m. – 10:30 p.m.
Every day from 9:00 a.m. to 9:00 p.m.